I love old ads and old graphic design. This one is fun, though maybe a little earlier than the advertising era I'm most fond of. Throwback Thursday posts are a new feature here on Lead Fast. 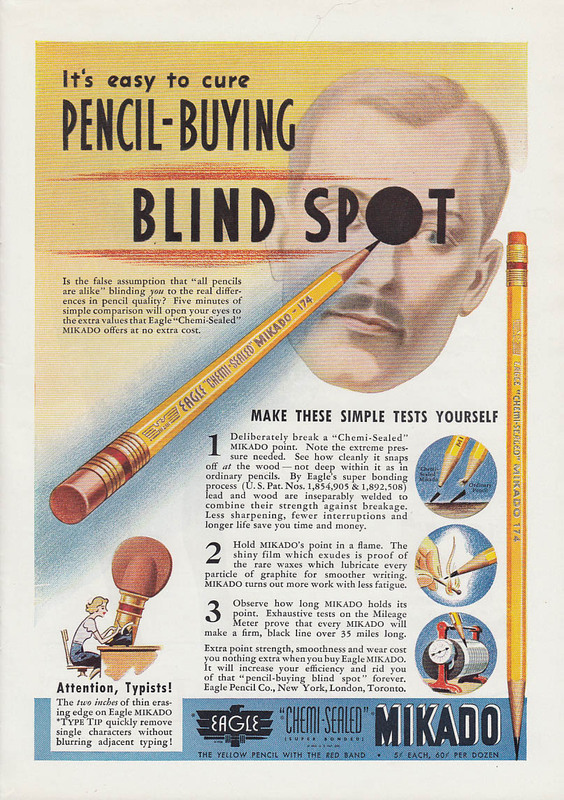 Whether it's an old ad, like this one, a vintage pencil review, a video, etc...I'll be looking into the history of the stationery industry in a fun way.